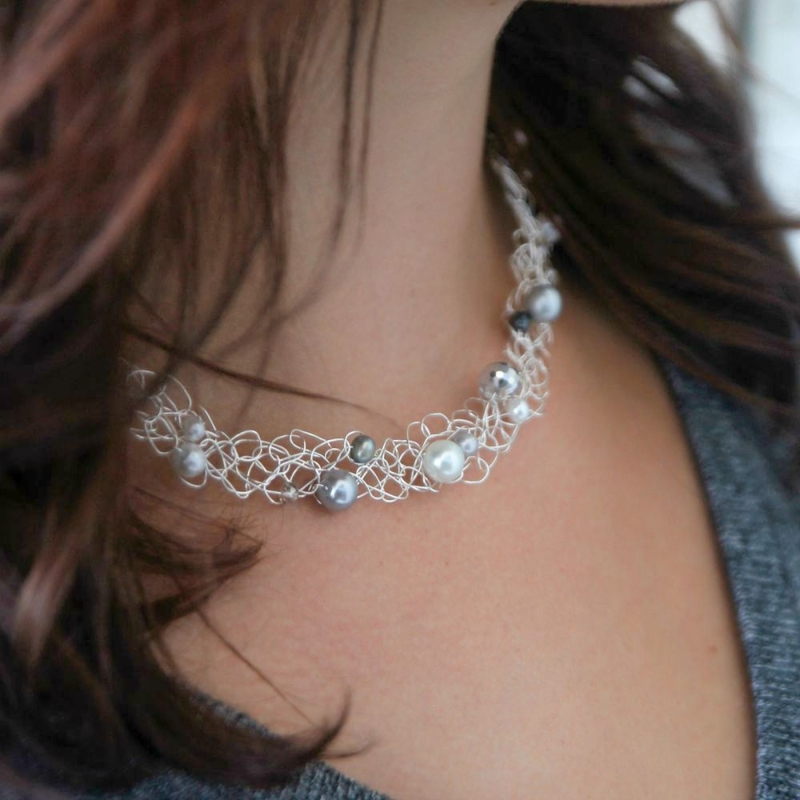 Silver lace necklace, Wire Knit Choker, Wedding wear, Bridal Necklace by Lapis Beach, Hand Knit necklace with silver plated wire, fresh water pearls and czech firepolished crystals. 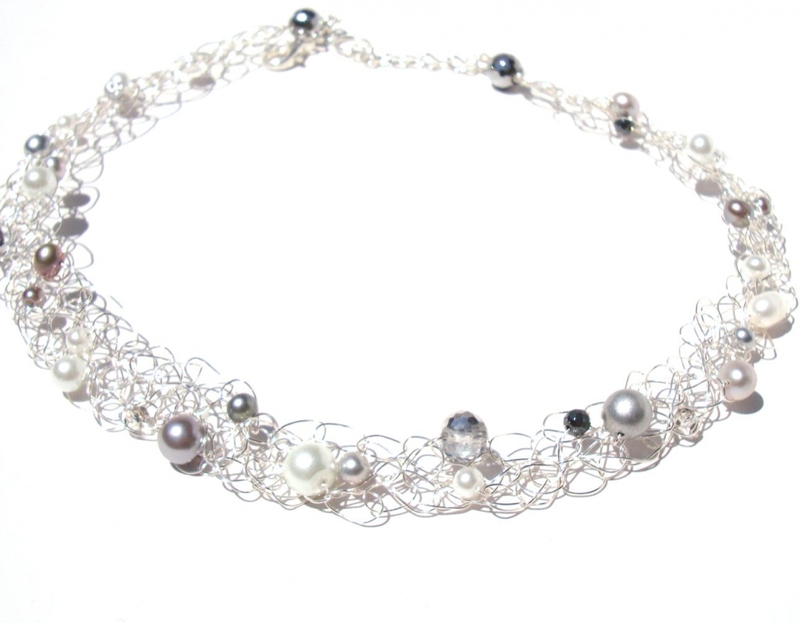 This hand knit necklace is knit to match the White Pearl Ice wire cuff. It is hand knit with silver wire. Scattered delicately throughout the piece...are both freshwater and glass pearls in white and soft greys along with czech crystal ab and silver beads. It is comfortable, striking and very versatile! It measures about 1/2"- 3/4" in the width of the beaded wire and utilizes an extender chain and lobster clasp for adjustable closure lengths. These necklaces are also adjustable in the fact there you can move the knitted necklace & mold it to you neck length.Slightly pull to make longer - or smoosh together to make thicker and shorter. So cute with a pair of jeans of totally can be dressed up for a night out! Please convo me if you need a different color variation- any of my wire knit color combinations can be made into one of these tangled wire collars!